Susan C. Johnson, MSSW, LICSW, BCD, is a licensed, independent social worker in Washington State (LW 60601839). She earned her Master’s of Science in Social Work degree from the University of Texas, Austin in 1993, and has been licensed as LCSW in the state of Texas, Alabama, Florida, and Kentucky. She is a member of the National Association of Social Work and is recognized as ACHP-SW (Advanced Certified Hospice and Palliative Care Social Worker). 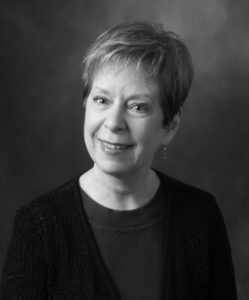 Susan is a Board Certified Diplomate, advanced-generalist clinical practitioner, certified by the American Board of Examiners in Clinical Social Work. Susan works primarily with adults throughout the adult lifespan who are experiencing anxiety, depression, trauma, chronic pain, impact of physical illness, interpersonal relationship issues, and problems with adjustment to life’s challenges. With respect for the client’s unique life journey, Susan utilizes cognitive behavioral therapy (CBT), mindfulness practice, emotional regulation, solution-oriented therapies, and existentialism to assist the client in gaining self awareness and resilience. Based upon her clinical experience in hospice care, Susan also provides therapeutic bereavement counseling for those who are grieving a significant loss in their life.